Kaley Wise has been named GSAC Softball Pitcher of the Week for the second time this season. 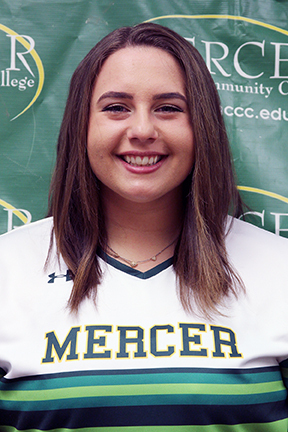 WEST WINDSOR – For the second consecutive week, Mercer County Community College (MCCC) softball player Kaley Wise has been named the Garden State Athletic Conference (GSAC)Division II Pitcher of the week. Wise went 3-0-1 in a week that saw the Vikings go undefeated in eight games. Wise struck out 14 in a two-hit, 6-0 victory over SUNY-Orange. She struck out 35 batters in 24 innings for the week to continue a strong 2018 campaign. Wise is currently 14th in strikeouts for National Junior College Athletic Association Division II softball, with 56 in 44 innings pitched. She also has one of the lowest earned run averages in the country at 1.27 – good for 22nd in the nation. Wise is 4-0-1 on the season with one save.